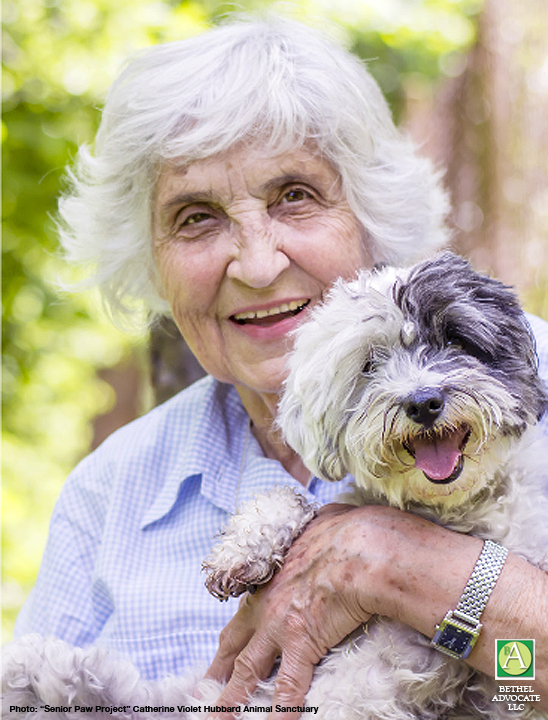 If you know a senior citizen who is struggling to keep their pet due to health or financial hardship, the Catherine Violet Hubbard Animal Sanctuary Senior Paw Project may be able to help. CLICK HERE to learn more. Every year, over 7 million animals enter shelters across the country. For senior pets, their residence in a caged environment remains four times longer than their younger counterparts. The Senior Paw Project works to keep these special animals out of the shelter and in the loving homes they deserve. The Senior Paw Project is a program of the Catherine Violet Hubbard Animal Sanctuary that honors the life of Catherine Violet Hubbard, an animal lover and kind spirit who was killed at Sandy Hook Elementary School in 2012.